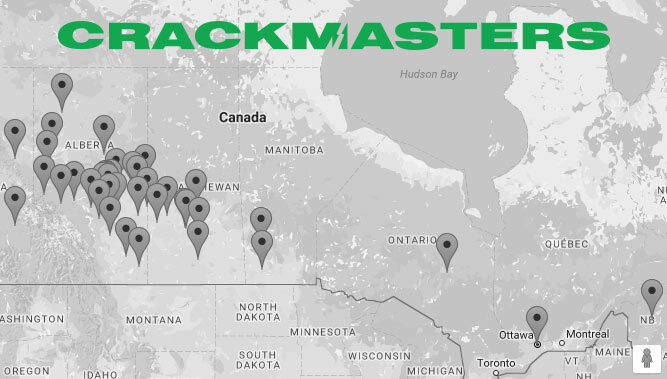 Crackmasters Canada is committed to maintain the security, confidentiality and privacy of information collected from clients through this website (crackmasterscanada.com). You may request access to your Personal Information and information about our collection, use and disclosure of that information by sending your request to our Privacy Officer at the email address noted below. Subject to certain exceptions and limitations prescribed by applicable law, you will be given reasonable access to your personal information within a reasonable time, and will be entitled to challenge the accuracy and completeness of the information and to have it amended as appropriate. You can help us maintain the accuracy of your information by notifying us of any changes to your Personal Information. We will retain your Personal Information only for as long as it is required for the purposes for which it was collected. When your Personal Information is no longer required for our purposes, we will delete and/or destroy, erase or make anonymous this information. We may sell and/or otherwise disclose this Personal Information to other wholesale lead providers or to motor vehicle dealerships in your geographical area which may be able to assist you in purchasing a new or used vehicle. We may also sell and/or disclose personal information to other persons or organizations which offer products or services directly or indirectly related to the vehicle sale industry. Such services may include financing, credit repair and insurance. Only the information necessary to determine whether a motor vehicle dealership or other product or service provider may be able to assist you in purchasing a new or used vehicle or to offer products and services, as contemplated above, will be sold and/or disclosed. The persons or organizations to whom we sell and/or disclose your information may conduct searches in relation to this Personal Information and/or other information. By providing us with your Personal Information, you consent to its disclosure and/or sale to one or more person or organization, any or all of which may conduct independent searches in relation to your Personal Information. The automotive distributor and/or other persons or organizations may contact you in the future for additional information. In addition, we may retain some of your Personal Information to contact you, directly or through an affiliate, in the future with respect to products and services which may be directly or indirectly related to the vehicle sale industry, including auto loans and other financial or automotive related products. You may withdraw your consent at any time, subject to contractual or legal obligations. Upon your request and where we have disclosed your Personal Information to other persons, we will notify such persons of the withdrawal of your consent. Our online practices apply to anyone who visits our website on their computer or mobile device, as well as anyone who uses our mobile application. You may see advertisements for our products and services on our own website, as well as on third-party websites. These ads may be tailored to your specific preferences based on information we, or our marketing service providers, have collected through cookies and other monitoring technologies. You can opt out of online tracking by clicking on the “Ad Preferences” link embedded in many of our advertisements or by adjusting your browser settings to reject cookies, though rejecting cookies may impact your online experience. We may also partner with third parties, including platforms and websites you may use, who may deliver advertisements to you and monitor your preferences. Our partners may use the information you have provided to them, such as your location or personal preferences and interests, to deliver our ads to you. Our third-party partners are subject to their own privacy policies.